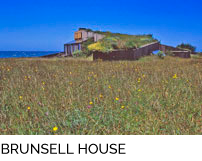 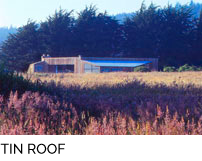 The site is 44 acres in Sonoma County with a pre-existing developer cut building pad and predrilled well and expansive views in all directions. 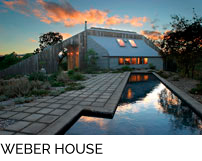 The pad is the only level area on the site and to preserve its use, the house and separate garage are designed as long, narrow, wall-like structures set at opposite ends of the pad, creating a courtyard between them. 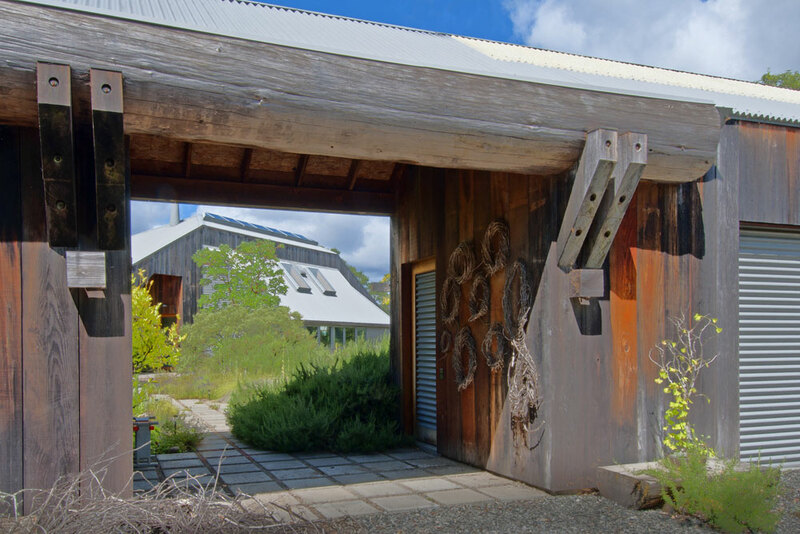 Arriving at the “garage-wall” one encounters a portal, embellished with a massive log gutter, leading to the courtyard beyond. 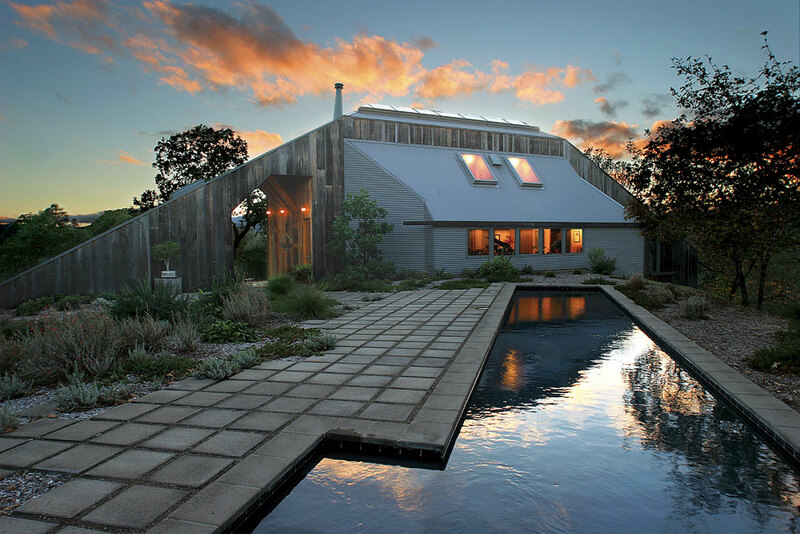 Here a lap pool and a native plant garden contribute to the entry experience. 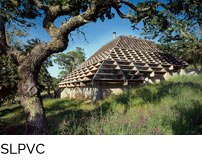 Across the courtyard the “house-wall” also includes a portal; this one centered on a black oak while providing covered entries for both house and guest quarters. 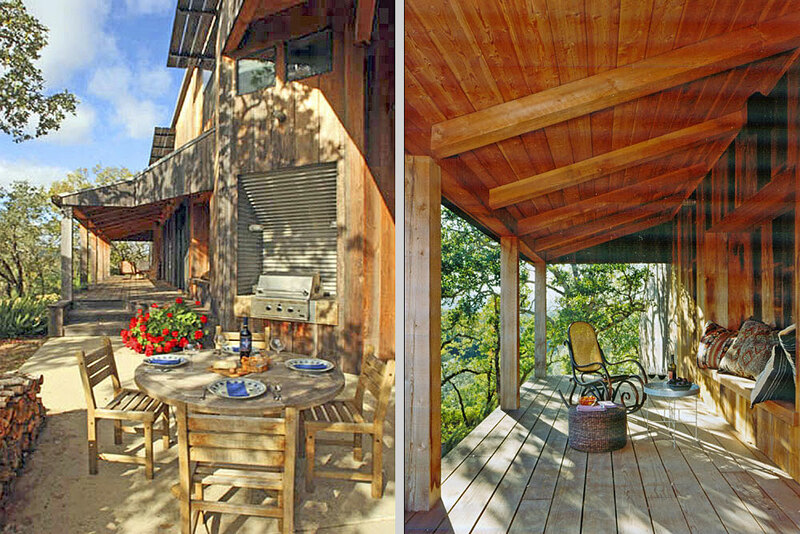 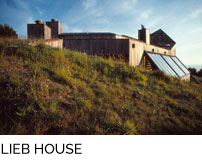 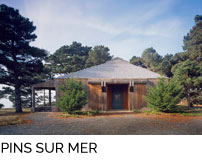 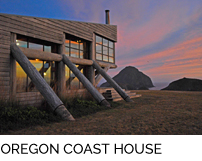 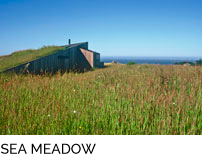 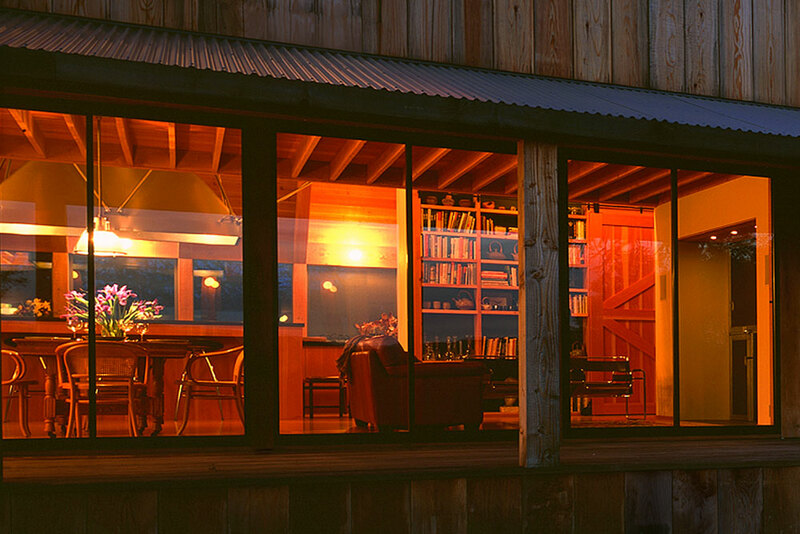 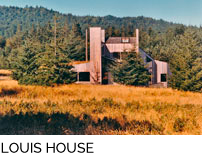 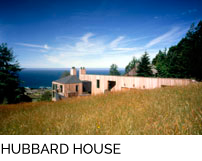 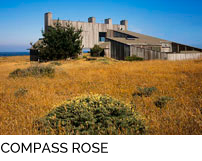 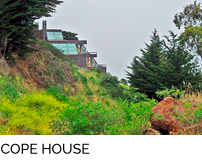 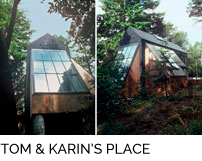 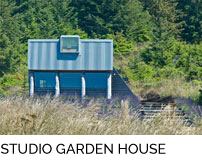 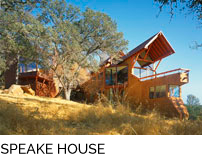 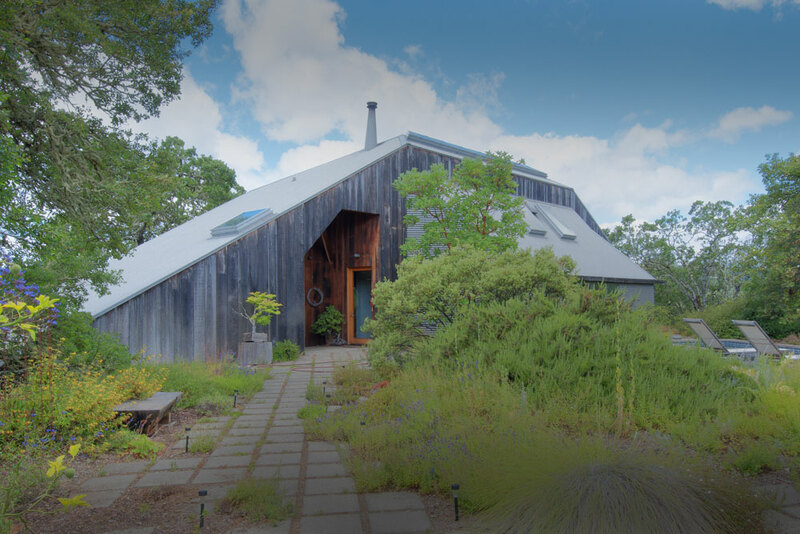 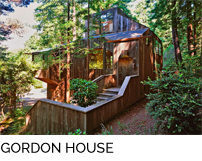 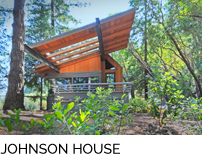 Hip roofs help the building forms contour to the hilltop and exterior materials harmonize with the landscape: vertical redwood boards and gray corrugated metal roofing and cladding. 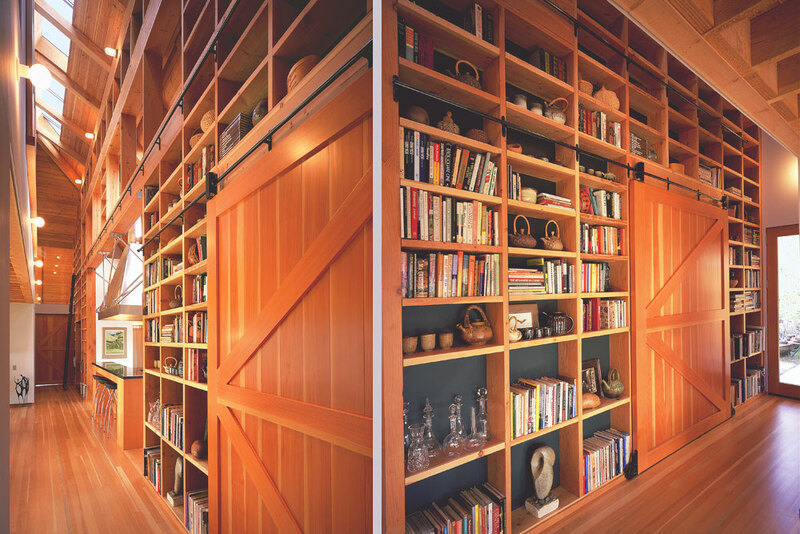 The owners’ request for large amounts of display and storage space is accommodated by a two-story gallery of exposed 2×10 studs and blocking/shelving, accessed by a library ladder. 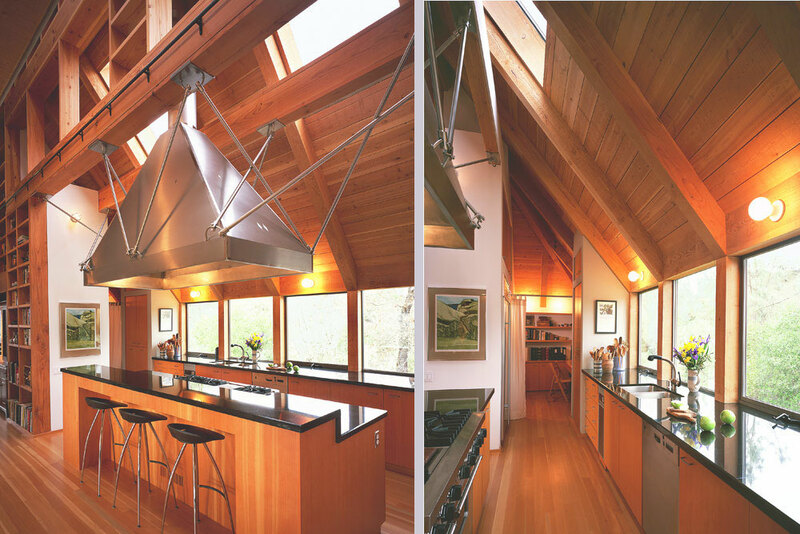 This wall and its associated space are washed with natural light by long, thin skylights atop the northerly roof slope. 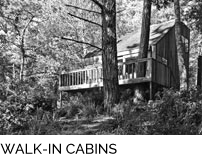 The living/dining areas are located below the master bedroom and open onto a southerly covered porch while “Mary’s Room” and the guest quarters open onto end decks projecting out from the building pad. 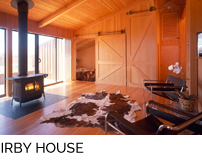 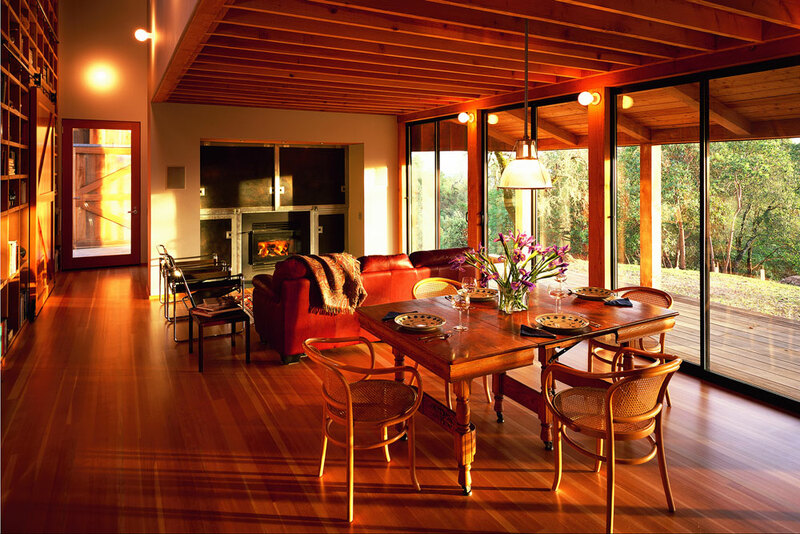 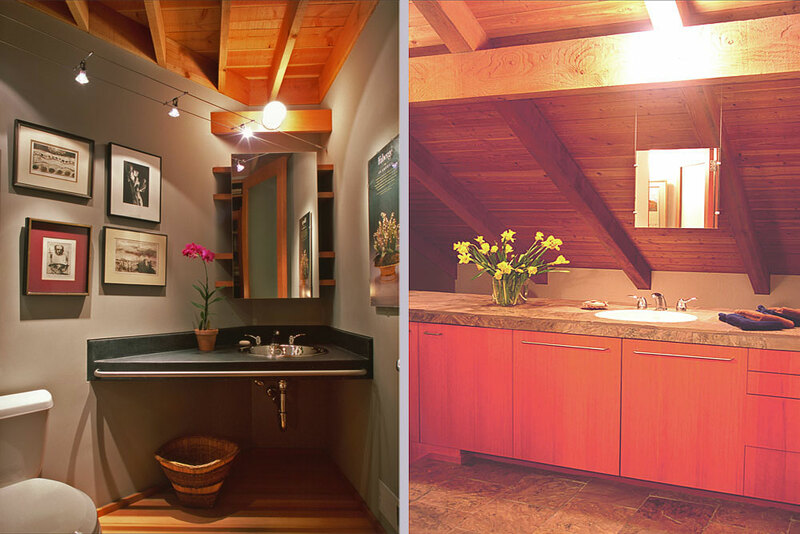 All interior wood is Douglas fir, painted gypsum board walls are various shades of white and gray, and fireplace alcove doors are gun blued steel with galvanized trim. 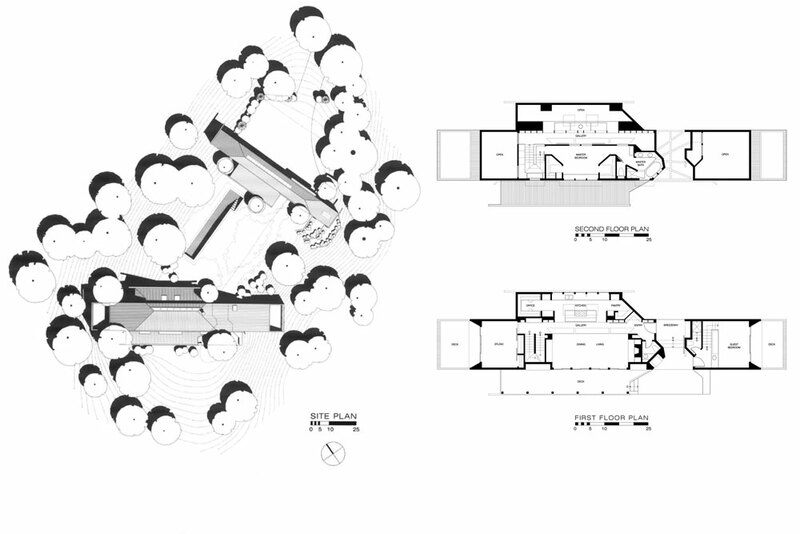 The project has 2178 SF of heated space and 1435 SF of unheated space.